After providing you with release information over the weekend and just a day removed from the 10th Anniversary of "Practice? 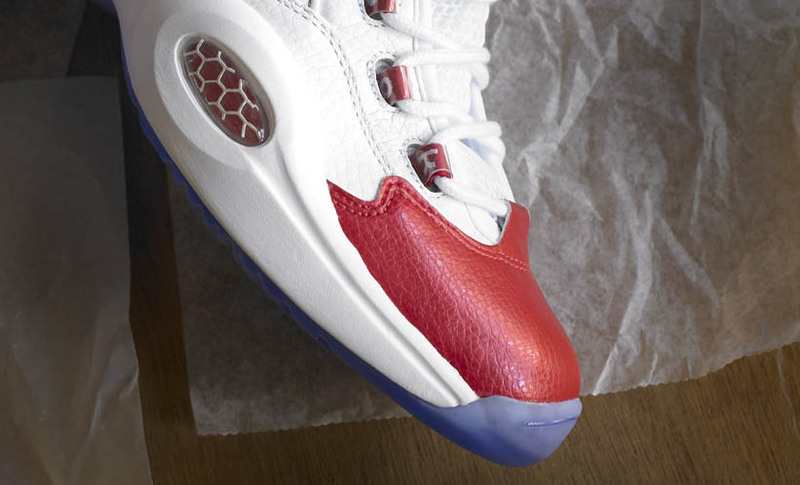 ", we now have a detailed look at the upcoming Reebok Question re-release. After providing you with release information over the weekend and just a day removed from the 10th Anniversary of "Practice? 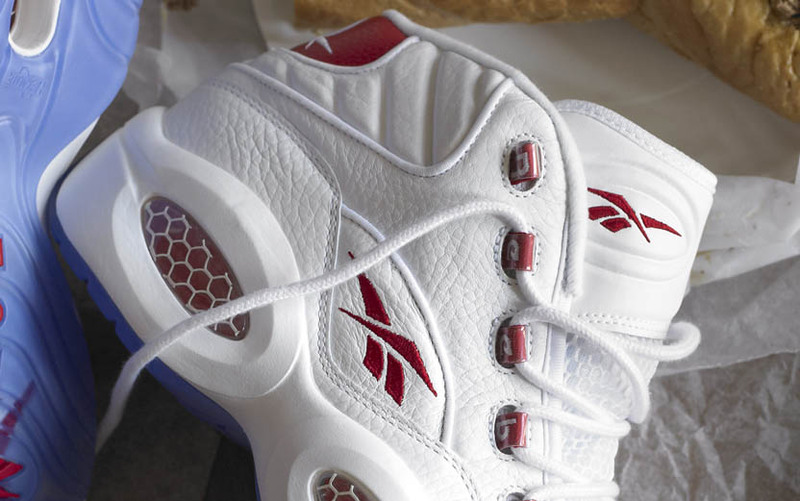 ", we now have a detailed look at the upcoming Reebok Question re-release. 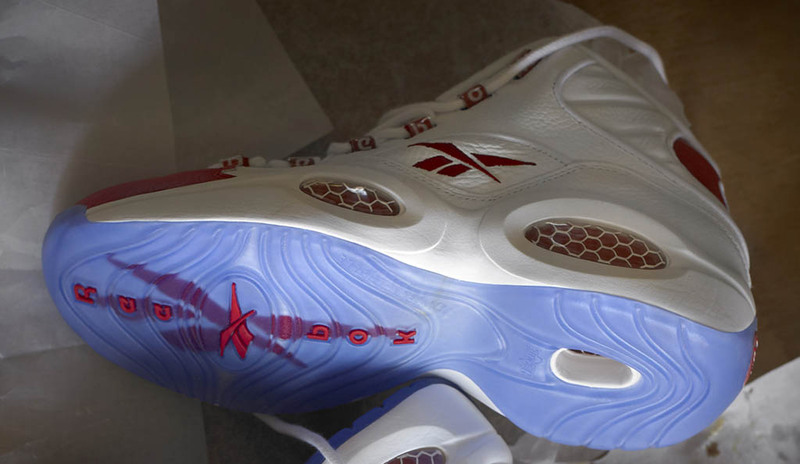 The latest update to the 1996 classic features a white leather base, accented by red hits on the Vector logos, lace loops, visible Hexalite cushioning and tumbled leather overlays on the toebox and heel. Finishing off the look below is a blue-tinted icy translucent outsole. 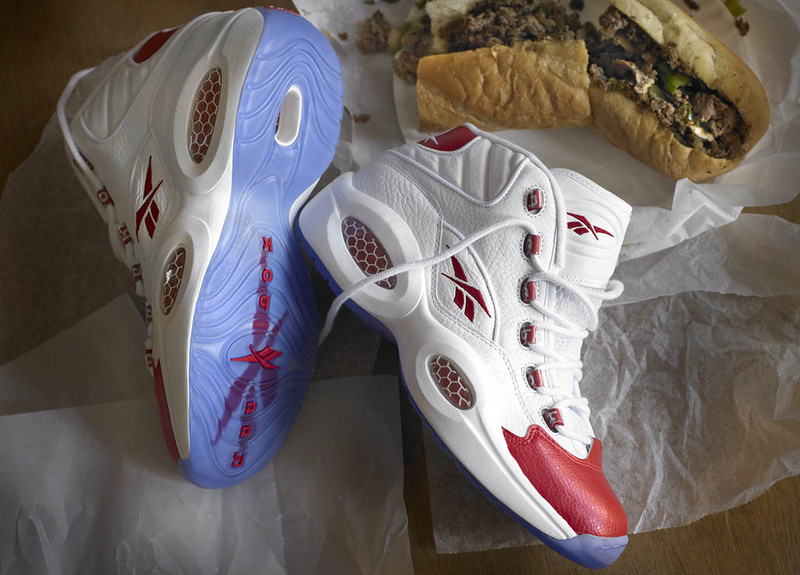 According to @ReebokClassics, the Questions will make an appearance on BET's 106 & Park today. The official release is scheduled for R23 accounts on Friday, May 25. Now, while you check out these photos, I'm off to grab a Philly Cheesesteak.